In Switzerland, the telecommunications sector is regulated at federal level. The Federal Communications Commission (ComCom) is the independent licensing and market regulatory authority for the communications sector. The main activities and competences of ComCom relate, in particular, to the granting of licences for the use of radio communication frequencies as well as the regulation of the terms of application of number portability and free choice of supplier. ComCom instructs the Federal Office of Communications (OFCOM) with respect to the preparation of its business and the implementation of its decisions. Moreover, it has delegated some of its tasks to OFCOM. OFCOM itself is part of the Federal Department of the Environment, Transport, Energy and Communications (DETEC) and acts as the supervisory authority in the communications sector. The Federal Act on Telecommunications (TCA) dated 30 April 1997 (as amended on 1 March 2018) and the Federal Ordinance on Telecommunications Services (OTS) dated 9 March 2007 (as amended on 1 March 2018) represent the main sources of law with respect to telecommunications. The TCA regulates the transmission of information by means of telecommunications techniques, including the transmission of radio and television programme services. The aim of the TCA is to ensure that a range of cost-effective, high-quality and nationally and internationally competitive telecommunications services are available to individuals and companies in Switzerland and that effective and fair competition among carriers, operators and service providers will be guaranteed. In principle, certain foreign ownership restrictions may apply. If no reciprocal rights are granted abroad, and subject to international obligations to the contrary, foreign companies can be prohibited from providing telecommunications services in Switzerland, can be refused to be granted a licence, or can be prohibited from transferring a licence. Licences for telecommunications services have been, in principle, abolished. A telecommunications service provider (TSP) is only obliged to register with OFCOM and to notify the authority of the services to be offered in Switzerland (see question 16 with respect to the planned changes). The annual administrative fee currently amounts to 960 Swiss francs and the registration fee is 210 Swiss francs per hour. The same holds true for public Wi-Fi services as there is no licence required, as long as the Wi-Fi services remain within the authorised frequencies and fulfil the technical requirements. Licences must only be acquired for radio communications and universal services. Accordingly, the use of the frequency spectrum for the provision of telecommunications services requires a radio communications licence (see question 16 with respect to the planned changes). Special rules apply if the broadcaster of a radio programme service is granted a licence under the Federal Act on Radio and Television (RTVA) dated 24 March 2006 (as amended on 1 January 2017); see question 19. Pursuant to the TCA, licences for radio communications and universal services are of limited duration. In 2012, licences for the entire frequency spectrum, including the digital dividend, for the provision of mobile telecommunications services were reallocated in a public tender procedure. Each of the three previously existing mobile network operators in Switzerland acquired a licence. These new licences will expire at the end of 2028 and were issued in a technology-neutral manner, allowing the use of the latest mobile radio technologies such as LTE. Owing to this reallocation, a migration of frequency bands was necessary, which took place in summer 2014. Radio communications licences do specify the permitted use (eg, radio, TV, amateur radio) and different rules on the trading and returning of allocated radio frequency spectrum apply. Under the TCA, a licence can only be transferred in whole or in part with the consent of the licensing authority. This also applies to situations involving an economic transfer of the licence. Such economic transfer occurs in case of acquisition of control (in the meaning of the Federal Cartel Act) of the licensee (see question 18 with respect to the transfer of licences in the field of broadcasting and question 16 with respect to the planned changes). There is no specific regulatory framework for the assignment of unused radio spectrum. OFCOM is responsible for the management of the radio spectrum and establishes the National Frequency Allocation Plan that is approved by the Federal Council. Switzerland relies in general on ex-post regulation (see question 6 with respect to universal service licences). There is no legal basis for a structural separation between an operator’s network and service activities, nor is the introduction of such legal basis currently contemplated. ComCom awards one or more universal service licences to TSPs wishing to provide a universal service for the whole population in all parts of the country. There is no obligation to provide a universal service. However, if no TSP applies for a universal service licence, ComCom could force a TSP to do so. Universal service licences are put out to tender and awarded on the basis of a competition based on specific criteria (such as the applicant’s technical capability, financial soundness and ability to comply with the law and the licence conditions). For universal service licences the Federal Council decides on quality criteria and periodically fixes upper limits for the prices of the services of the universal service. These upper limits apply uniformly over the whole area and are determined by the development of the market. Regarding the provision of universal services, the Federal Council resolved to raise the minimum data transmission rate for internet access from 2,000/200kbit/s to 3,000/300kbit/s effective as of 1 January 2018. Further, special rules apply to providers that have a dominant position in a market. They are obliged to grant access to infrastructure and services to other providers in a transparent and non-discriminatory manner at cost-oriented prices (see question 16 with respect to the planned changes). The provisions regarding the calculation of cost-oriented prices in the OTS were revised and the amendments became effective on 1 July 2014. The calculation is based on the LRIC, an added constant premium based on a proportional share of the relevant joint and common costs and a return on the capital used for investments as well as the replacement costs of modern equivalent assets (current cost accounting). According to the revised OTS, ducts are assessed based on infrastructure renewal accounting. Since 1 July 2014 costs have been based on a modern fibre and IP-infrastructure (next-generation network and access). directory and operator services for the visually impaired and people with limited mobility. To date, new technologies such as fibre optic or mobile phone services are not included in the universal service. In 2016, ComCom has decided that the universal service in relation to telecommunications will continue to be provided by Swisscom. ComCom awarded the licence to Swisscom from 2018 onwards, for a term of five years. If it is clear before the granting of the licence that even with efficient management it will not be possible to cover the costs of the provision of the universal service in a given area, the licensee is entitled to financial compensation. The compensation would be financed by levying a fee on all TSP. To date, no such compensation has been awarded. OFCOM is responsible for the issuance of the national numbering plan and for the distribution of the ranges of numbers belonging to the plan. In the form of technical and administrative regulations, OFCOM allocates the ranges of numbers to the various usage categories and defines their conditions of use. non-geographic services (such as premium-rate services). TSPs that are required to grant number portability must bear their own costs. However, a TSP that passes a number to another can demand that the latter contributes to administrative costs. The costs of transmitting a passed-on number to its destination are regulated in interconnection contracts between the TSPs. If there is no agreement, the rules of interconnection apply by analogy. The new TSP can pass part of the costs of number portability to the subscriber. In order to grant faster number portability, as of November 2015, donor service providers are required to confirm number porting applications to the recipient service providers within one working day (instead of five working days as in the past) and regardless of possible telecoms contract disputes with the client. Regarding customer terms and conditions there are no specific rules. However, the Federal Council periodically fixes upper limits for the prices of the services of the universal services (see question 6). Thus, the prices for connection, national calls to fixed-network connections, the surcharge for the use of a public pay telephone and the use of the transcription services are defined in the OTS. To date, Switzerland has not adopted specific regulations on net neutrality (see question 16 with respect to the planned changes). In March 2015, the Swiss Council of States explicitly voted against a specific regulation on net neutrality. 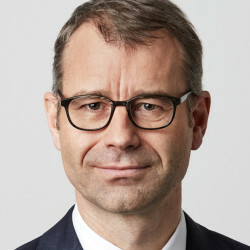 The largest Swiss ICT companies, however, agreed on a code of conduct and issued explanatory notes on the code of conduct on net neutrality in November 2014 in order to ensure open internet access in Switzerland. Under the code of conduct, the providers undertake not to lock services and applications and not to limit the freedom of speech and information. In principle, all users shall be granted access to the full range of content, services, applications, hardware and software. However, according to the code of conduct, specific prioritisation of certain content, inter alia for the purpose of network management and to improve the network’s quality, remains possible. It is explicitly stated that zero rating is permitted. Bandwidth throttling, as a part of traffic management measures, may be applied according to the code of conduct. Yet, users may call upon a conciliation body in the event of a provider’s alleged breach of obligations under the code of conduct. The conciliation body continuously evaluates the code of conduct and its impact on the openness of the internet and reports on this subject matter on an annual basis. The conciliation body started its work in September 2015. There is no specific legislation or regulation. Despite the fact that the Federal Council has, in principle, identified the need for clarification, its explanatory report with regard to the partial revision of the TCA (see question 16) does not specifically address this issue. The Swiss legislation on telecommunications is technology-neutral and does not contain any specific definitions referring to NGA networks. Therefore, they are, in principle, subject to the provisions of the TCA. There is no federal scheme to promote broadband penetration. However, some local authorities are actively supporting the development of broadband networks. For example, the city of Zurich has assigned financial means to its own electric utility to build an area-wide fibre optic network. Furthermore, the licence for universal services obliges Swisscom to provide a broadband internet connection with at least a 3,000/300kbit/s transmission speed to all households in addition to analogue and digital telephone connections (see question 16 with respect to the planned changes). TSPs are subject to a general confidentiality obligation (article 43 of the TCA). They cannot disclose to a third party any information relating to a subscriber’s communications or give anyone else an opportunity to do so. Subscribers must be granted access to the data on which invoices are based, in particular the addressing resources, the times when calls were made and the payment due. Moreover, anyone requiring this data to trace nuisance calls or unfair mass advertising must be informed of the name and address of the subscribers whose lines were used for such calls. Under the TCA, TSPs may process customer location data only for the provision of telecommunications services and for charging purposes. The processing of data for other services requires prior consent of customers or anonymous processing. In addition, the Federal Act on Data Protection (FADP) dated 19 June 1992 (as amended 1 January 2014) applies. The FADP aims to protect the privacy and the fundamental rights of persons when their data is processed by private persons or federal bodies. Anyone who processes personal data must not unlawfully breach the privacy of the data subjects in doing so. In particular, he or she must not process personal data in contravention of the principles of the FADP, process data pertaining to a person against that person’s express wish without justification or disclose sensitive personal data or personality profiles to third parties without justification. The principles of the FADP are, inter alia, that personal data may only be processed lawfully, that its processing must be carried out in good faith and must be proportionate and that the purpose of its processing must be evident to the data subject. The FADP also provides certain specific regulations for the communications sector as, for example, the limitation of the right to information for journalists. Although no specific law on cybersecurity exists, certain legal rules also apply to cybersecurity. Already in 2012, the Federal Council approved the ‘National strategy for the protection of Switzerland against cyber risks’ (NCS), which specifies the various risks that originate from cyberspace, identifies weaknesses and describes how Switzerland is going to proceed in this matter. The NCS is reflected in the Federal Act on the Intelligence Service (ISA) allowing the federal police to monitor the internet proactively. In 2017, the Federal Council has ordered a follow-up strategy to be implemented in 2018. Implementation of this strategy has not yet begun. The FADP and the TCA contain provisions regarding the issue of data protection (see question 12), which also apply to big data and its challenges. However, big data remains a legal grey zone because most databases contain ‘anonymised’, and therefore theoretically not personally identifiable, information as regulated in the FADP/TCA. The FADP is currently being revised. Changes are in particular expected in the area of information, documentation and notification obligations, automated decisions and criminal penalties. The consultation ended on 4 April 2017. The parliamentary consultation is pending and the wording of the new FADP is still subject to change. A final version of the revised FADP is not expected to enter into force before August 2018. The FADP guarantees the protection of the private sphere of companies and individuals regarding data processing carried out in Switzerland. It also provides strict obligations regarding the transfer of data abroad. Certain data transmissions abroad must be announced to the Federal Data Protection and Information Commissioner. Furthermore, certain sector-specific regulations such as, for instance, in the banking sector may stipulate additional requirements or even prohibit the transfer of data abroad. The Federal Council launched a consultation process on the partial revision of the TCA in December 2015. A proposal for a revised TCA was sent to parliament in September 2017. Inter alia, the general obligation to register for telecommunications service providers shall be eliminated; only undertakings using specific public resources shall have to register. In addition, amendments to the intervention possibilities for TSPs regarding the access to the infrastructure of dominant undertakings are planned. The requirement to have a radio licence shall only apply under exceptional circumstances and the possibility of spectrum trading and spectrum leasing shall be established in the context of the transfer of a licence. With regard to net neutrality, the Federal Council considers that only an information obligation for TSPs that treat data (technically or economically) differently at their transmission is necessary at the moment. Regarding international roaming, the revised TCA foresees different measures for the Federal Council against disproportionately high retail tariffs and new transparency rules were included in the draft. Finally, the draft revision, inter alia, provides for new rules regarding the administration of internet domains, measures against unwanted telemarketing and technical child protection measures. The broadcasting sector has three main authorities responsible for the granting of licences. The Federal Council is the licensing authority for the Swiss Broadcasting Corporation (SBC). With respect to other licences, licensing competence has been delegated to DETEC. OFCOM puts the licences out for tender and consults interested groups. OFCOM further fulfils all sovereign and regulatory tasks related to the telecommunications and broadcasting (radio and television) sectors. It fulfils an advisory and coordinating function for the public and policymakers. It also guarantees that basic services will be provided in all parts of the country and for all sections of the population. The Federal Media Commission, operational since August 2013, consists of 13 representatives from various areas of the Swiss media sector. It advises the Federal Council and the Federal Administration in relation to media issues. The RTVA provides for an Independent Complaints Authority for Radio and Television, which deals with complaints that relate to the editorial programme and rules on disputes on denied access to a programme. In Switzerland, apart from the communications sector, regulation of the media sector is also dealt with at a federal level. The broadcasting, processing and reception of radio and television programme services are regulated by the RTVA, the Federal Ordinance on Radio and Television (RTVO) dated 9 March 2007 (as amended on 1 January 2018) and related decrees. Licences for broadcasting may - subject to any international obligations to the contrary - be refused to foreign natural persons with their domicile in Switzerland, companies with foreign control or Swiss companies with foreign participations, provided that the respective foreign state does not grant reciprocal rights to Swiss citizens or Swiss companies. In addition, the licence granted to broadcasters of radio and television programme services can only be transferred with approval of the licensing authority. The licensing authority examines whether the licence requirements are also met after the transfer. Economic transfer of the licence (ie, the transfer of more than 20 per cent of the share capital of the licensee) is also deemed to be such a transfer. The RTVA provides that a media corporation may not receive more than two radio and two television licences (does not apply to SBC; see question 27 with respect to the planned changes). In addition, the participation of the SBC in other companies that are broadcasting radio or television programmes requires the approval of DETEC. There are currently no amendments planned regarding cross-ownership. Broadcasters of programme services are in principle required to obtain a licence. However, broadcasters that request neither splitting revenue nor guaranteed wireless terrestrial distribution can operate their service without a licence. The only requirement is prior notification to OFCOM. Also, broadcasters of programme services of minor editorial importance (such as programme services that can only be received by fewer than 1,000 people at the same time) do not fall under the scope of the RTVA and do not need a licence or registration. The SBC is subject to a special licence with an extensive mandate. The Federal Council is the licensing authority for the SBC. have residence or registered offices in Switzerland. The number of licences a broadcaster and its group companies may acquire is limited to a maximum of two television and of two radio licences (does not apply to SBC; see question 27 with respect to the planned changes). If there are several candidates for one licence, preference is given to the applicant that is best able to fulfil the performance mandate. If several candidates are equivalent, the applicant that best enhances diversity of opinion and offerings is given preference. Often, independent applicants (ie, those not belonging to a media corporation that already possesses other licences) are deemed to be better able to fulfil this criterion by DETEC. The fee per year for a broadcasting licence amounts to 0.5 per cent of the gross advertising revenue that exceeds 500,000 Swiss francs. Furthermore, administrative charges will incur in relation to the radio and TV licence as well as to the telecommunications licence. These charges are calculated on the basis of time spent. A reduced hourly rate applies to the granting, amending or cancelling of a licence for the broadcasting of a radio or television programme service as well as for the radio communications licence. Broadcasters may be granted a licence for national and language region-specific programmes. These licences may contain obligations with respect to the portion of own productions and Swiss productions, in particular Swiss films. Local and regional providers of radio and television programme services must primarily take into account the particular characteristics of their service area. They must contribute to the forming of opinion on topics of local and regional social life and to the promotion of the cultural life in the service area. These licences will, therefore, contain specific obligations regarding local and regional content. Online as well as mobile content providers are not subject to this regime. Swiss law provides for both rules on advertising in general and specific rules for advertising in broadcast media. The Federal Act against Unfair Competition (UCA) dated 19 December 1986 (as amended 1 July 2016) contains several general provisions on advertising. It provides in particular that any advertisement that is deceptive or that in any other way infringes the principle of good faith and that affects the relationship between competitors or between suppliers and customers is deemed unfair and unlawful. In addition, the advertisement industry has installed soft law rules and established the Commission on Integrity in Commercial Communication. The Commission is a respected monitoring organisation that handles complaints from both consumers and competitors. It bases its decision on its own guidelines. Broadcast media advertising (form and content) is specifically regulated in the RTVA and the RTVO. As regards form, advertising must be clearly separated from the editorial programmes and must be clearly identifiable as such. Therefore, the beginning and end of an advertising slot must be indicated by a clear visual or audible marker. An advertisement that lasts longer than a minute must be identified as such for reasons of transparency. While surreptitious advertising is always illegal, product placement may be allowed if it fits into the dramaturgy of a programme and is clearly declared as sponsorship. Regular radio and television programme staff are banned from appearing in advertisements. Local and regional broadcasters with limited financial resources are excluded from this restriction. There are scheduling and airtime restrictions for radio and TV advertising. Depending on the type of programme (eg, cinematographic film, documentaries, news programmes, programmes with a religious content, series, programmes for children) different scheduling restrictions apply. More severe restrictions apply to the SBC. As regards airtime, advertising may account for a maximum of 15 per cent of the daily transmission time and a maximum of 20 per cent (12 minutes) within one hour. The RTVO contains provisions on the use of new advertising forms such as split screen, interactive and virtual advertising (ie, the insertion of advertisements into an existing image by means of post-production). As regards content, the RTVA prohibits advertising for certain groups of products and services on radio and television, including tobacco products, certain alcoholic beverages, therapeutic products and political parties. Advertising is also prohibited if it disparages religious or political convictions, is misleading or unfair, or encourages behaviour that is prejudicial to health, environment or personal safety. Since April 2010, less restrictive rules (in particular with regard to commercial breaks and product placement) apply to private broadcasters. There is no specific regulation for online advertising, as traditional online content is usually not covered by the RTVA (see question 23 for exceptions). Therefore, online advertising is only subject to the general advertising rules of the UCA. As regards must-carry obligations, the RTVA differentiates between broadcasting distribution networks that transmit content by wireless terrestrial broadcasting and by wire. In case of wireless terrestrial broadcasting, the programme services of the SBC and the programme services of broadcasters that hold a licence with a performance mandate are entitled to access the network. Broadcasters pay the owner of a radio communication licence cost-based compensation for the broadcasting. In case of broadcasting by wire, in addition to the above-­mentioned programme services the Federal Council has specified the programme services of foreign broadcasters that are to be transmitted by wire because of their special contribution to education, cultural development or free opinion-forming. Furthermore, on application by a broadcaster and subject to certain conditions, OFCOM can require a TSP for a specific period to provide broadcasting by wire of a programme service within a specific area. The RTVO provides for a maximum number of programme services that have to be broadcasted by wire free of charge. The delivery of traditional online content (websites, newsgroups, weblogs, etc) is not specifically regulated (see question 27 with respect to the planned changes). Of course, general laws such as law against unfair competition, criminal law, laws that protect intellectual property rights, etc, do apply. Online content that meets the legal definition of a programme service (ie, content that is delivered as a continuous sequence of broadcasts that are transmitted at certain times only and addressed to the general public (such as IPTV and streaming media)) falls, in principle, under the RTVA. However, programme services that can only be received simultaneously by 1,000 viewers or fewer (ie, offerings of minor editorial importance) as well as on-demand content are excluded from the RTVA (see question 19). Therefore, most of today’s online content is not regulated. Broadcasts that are subject to the RTVA have to abide by the same rules (eg, regarding advertisement) as broadcasts via traditional media (see question 19). While there is no licence required, the broadcasters have to inform OFCOM of their programme service. As per 1 January 2015, must-carry obligations regarding analogue terrestrial TV programme services have finally been abolished and switched over from analogue to digital TV broadcasting. Regarding the broadcasting of radio programme services, there is no specific timing required by law for the switchover from analogue to digital broadcasting. However, OFCOM may grant financial help to licensed broadcasters to establish new broadcasting technologies if there are insufficient resources in the relevant area. The necessary funds are generated by licensing and consumer fees. Further, the radio industry indicated its intention that by 2024 all radio programme services in Switzerland shall broadcast only digitally on DAB+ platforms. It is planned to achieve this aim in two steps. By the end of 2019, all radio programmes shall be broadcasted digitally on DAB+ platforms. Analogue VHF broadcasting shall then be phased out. This process shall be completed by 2024. In Switzerland, no specific rules for digital formats exist. Digital broadcasting is subject to the general rules (see question 23). The provisions of the RTVA apply, if the digital formats meet the legal definition of a programme service (see question 23). The number of licences a broadcaster and its group companies may acquire is limited to a maximum of two television and of two radio licences (does not apply to SBC; see question 27 with respect to the planned changes). The Federal Council paved the way for the migration from analogue VHF to digital DAB+ technology for local radio. It adopted the partial revision of the RTVO, which simultaneously optimises support for new technologies and provides various additional support measures for radio and television stations (see also question 24 with respect to the digital switchover). The revised RTVO entered into force on 1 January 2015. The revision of the RTVA was adopted in June 2015 in a public vote. The annual reception fee will be adapted to the technical development and the fee for the private households will be lowered. As the annual reception fee is exempted from value-added tax, it slightly decreased since April 2015. Furthermore, the registration and deregistration will be automatically based on the register of residents. In addition, the local radio and TV stations will receive more financial support. Moreover, the rule that limits the number of licences a broadcaster and its group companies may acquire will probably be abolished. In a public tender, a new office for the collection of radio and TV reception fees has been determined. The new system will start at the beginning of 2019. Other regulations such as the increase of the fee percentage for local radio and TV stations have been implemented in summer 2016. In March 2018, the Swiss electorate voted against the abolition of radio and TV reception fees. Currently, a revision of the RTVO is under way, in order to, inter alia, enable SBC and local-regional broadcasters to have a licence to broadcast target-group specific advertising. The consultation procedure for the revised RTVO ended mid-February 2018 and it is currently expected that the revised RTVO will enter into force in July 2018. The communications sector is regulated by ComCom as the market regulatory authority and OFCOM as the supervisory authority. However, it is not possible to draw a strict line between the competences of OFCOM and ComCom as the latter has delegated some of its competences to OFCOM (see question 1). The authorities regulating the media sectors are the Federal Council, DETEC and OFCOM. Further, there are the recently established Federal Media Commission with advisory tasks and the Independent Complaints Authority for Radio and Television (see question 17). In addition, anticompetitive practices and mergers in the telecoms and broadcasting sectors are subject to general competition laws enforced by ComCo. The cases are prepared and processed by the staff of the ComCo Secretariat. In merger situations, and subject to the notification thresholds of the Federal Cartel Act (CartA) being met, the parties require both clearance from ComCo and an approval of the transfer of the broadcasting and telecommunications licences by the respective licensing authority. Moreover, with regard to specific questions related to the conditions of competition, the telecoms and media regulators are obliged to consult ComCo (see question 26). Thus, there is close collaboration between the authorities to avoid jurisdictional conflicts, particularly concerning issues such as reviewing price-fixing arrangements, mergers and strategic alliances as well as the behaviour of dominant market players. ComCom’s, OFCOM’s, DETEC’s or ComCo’s decision was unreasonable. The judgments of the Federal Administrative Tribunal may be challenged before the Federal Supreme Court on the basis of law and procedure. 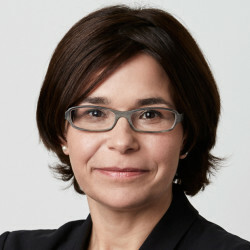 An exception applies to decisions of the Federal Administrative Court regarding publicly tendered licences and disputes regarding access based on interconnection rules. These decisions are final and cannot be appealed to the Federal Supreme Court. Decisions of the Independent Complaints Authority for Radio and Television can be appealed directly to the Federal Supreme Court. In its annual report 2016, ComCo has pointed out the digitalisation of the economy as an opportunity and a danger for competition that leads to new challenges for competition authorities. In this context, big data is seen as especially relevant by ComCo. In connection with merger control, ComCo believes that data flow and its effects should be considered while determining the economic position of an entity. Regarding legislative changes, the Swiss government is currently analysing whether Switzerland should switch from the currently applied CSDP (creation or strengthening of dominant position) to the SIEC (significant impediment of effective competition) test. The government believes that this change of test for merger proceedings would have both a medium-term and long-term positive effect on competition. The Swiss government is currently preparing a draft revision of the CartA. In the past year, a series of mergers and joint ventures in the media sector have been reviewed by ComCo. For example, ComCo prohibited the proposed merger between Ticketcorner and Starticket, two Swiss ticketing companies. Both are directly and indirectly owned or partially owned by Swiss media groups. Ticketcorner and Starticket are both active in the market for distribution of tickets for concerts, shows etc. According to ComCo, the proposed merger would have eliminated effective competition in the ticketing market. Furthermore, ComCo recently imposed a fine of 71.8 million Swiss Francs on Swisscom, the incumbent Swiss telecommunication company, relating to sport on pay TV. According to the ComCo, Swisscom had abused its dominant position with respect to live sports broadcasting on pay TV. In addition to the investigation on pay-TV, ComCo conducted a market monitoring in order to observe the bidding procedure and award of media rights for the Swiss football and ice hockey championships.